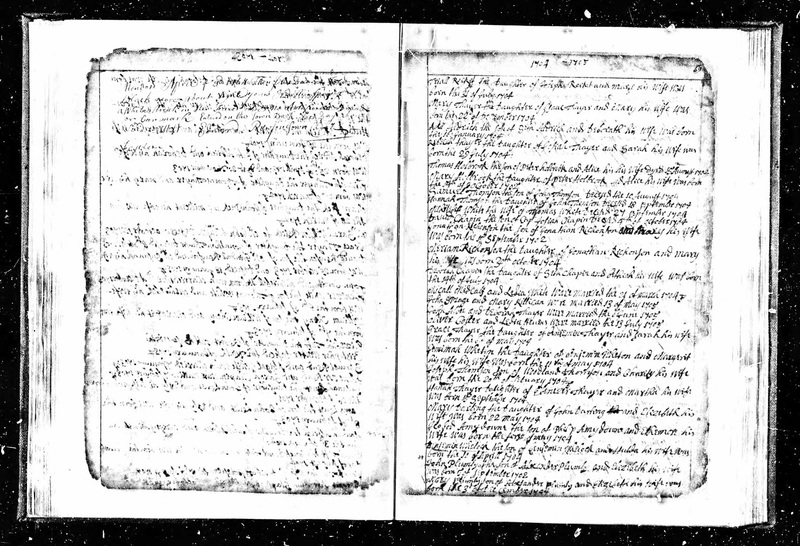 Genea-Musings: Treasure Chest Thursday - Post 287: 1704 Marriage Record of Michael Metcalf and Lydia White in Mendon, Mass. Treasure Chest Thursday - Post 287: 1704 Marriage Record of Michael Metcalf and Lydia White in Mendon, Mass. Massachusetts, Town and Vital Records, 1620-1988, digital images, Ancestry.com (http://www.ancestry.com : accessed 4 November 2015), Mendon, "Town Records and Earmarks, with Births, Marriages and Deaths," page 69 (image 42 of 106), Micall Medcalf and Ledia White marriage entry, 1704; citing original data from Massachusetts town and city clerk records in Jay and Delene Holbrook, Massachusetts Vital and Town Records (Provo, Utah : Holbrook Research Institute), Microfiche collection. The record before this record was dated 14 July 1704, and the record after this record was dated 13 May 1705. I have entered the date of this marriage as 21 March 1704/5 in my RootsMagic database. Michael Metcalf (1680-1761) and Lydia White (1686-????) are my 7th great-grandparents on my mother's side. I am descended through their son Michael Metcalf (1706-1771) who married Melatiah Hamant (1704-1751) in 1728.